We had a wonderful 2010 at Skatefresh and we wish you a New Year filled with renewed vigour and energy, abundance and happiness. Skatefresh is proud and excited to be entering a team of clients and instructors in 2011’s Le Mans 24hr Roller. This huge relay event sees 600 teams of skaters from all over the world battle it out in exactly 24 hours of non-stop baton swapping mayhem. The Skatefresh team ethos will be one of inclusion and FUN; There are plenty of teams entered from London that are about lap times or endurance and that’s great, but to be in Pink at Les Mans this year is about you – smiling and that’s it. Please let us know if you are interested in joining us at Le Mans (June 24th-27th) or in attending training sessions through to the summer. A high level of skating ability is not required. If you feel you’d like to dip your toe in the Les Mans fun but maybe not commit to the whole deal, we’d like to hear from you too. Our first fitness related session of 2011 will be Matt’s January mash-up on 22nd Jan 11-1pm at the Boathouse. Please read to the end of the news-letter for a more detailed explanation of the event. This year Skatefresh will be doubling the fun with 2 international skate trips; Amsterdam (6-8th May) and Berlin (29th-31st July). Both trips include urban and rural skating days, giving you the opportunity to skate in radically different environments to your normal UK park or street. The Amsterdam weekend also includes the Amsterdam Friday Night Skate. Full details of each trip on the website. What are you going to do with your skates in 2011? Where are your skates right now? Dusty and waiting to be taken out for a spin, or rusty from too much winter dampness? We hope that whenever you next go for a roll that you have a fantastic time and feel at one with your wheels and yourself. There is nothing like the sense of effortless gliding and self-created speed and control to make you appreciate your body, how it functions and what it is capable of. If you would like any of our assistance, here is a brief start point for each of our courses in the new year. – Advanced workshop – Saturday 5th March 2011, 2pm – 4pm (Jumps and 360 moving transitions). From March 2011, Asha will be teaching and skating on the Sunday Strolls 2 times a month. You can have a private lesson on the Stroll so Asha can chaperone you on your first street skate or tweak your technique if you’ve been at it a while (how are those up-hills going and what about the super-rough patches)? Email Asha for more details. – SkateDance classes continue in 2011 from April onwards. – Kids skating birthday parties – get yours organised early and let Skatefresh provide the skates, the safety and the fun your kids are looking for (ideal ages 8-12yrs). Email Asha for details. Asha will be teaching more group classes at all levels from improver upwards in 2011. Asha will return from her winter break at the end of February and will be available for private lessons during the week from March onwards. Weekend group classes will run approx once a month with 3 group classes; Kids Club, Beginners Crash Course and Intermediate class, on the following Sundays. Skate Dance classes will begin in Brighton once a month on the first Tuesday of every month from 5th April. We’d like to show-case one of Skatefresh’s students, Minzaw who started skating with Skatefresh in May 2009 with our Improvers course and has progressed to skating at speed backwards on street skates (usually only done by London’s best skaters). Min Zaw had the desire to skate backwards on Amsterdam’s street skate the following April. He achieved this huge aim through attending almost every different group class Skatefresh offered (form Improver to Intermediate then Street and Dance classes) and then continued with private lessons from Asha and Advanced group workshops. He then set his sights to further challenges, mainly increasing backwards speed and control, developing his crossovers and crossunders and nailing high speed transitions and jumping over manholecovers backwards. This video shows his progress over that time and gives us the opportunity to congratulate him on his hard work, dedication and commitment to improvement. There is nothing more satisfying for us as teachers to see our students loving their skating more and more. Well done Minzaw, we are so proud of you! 2010 was a great year for Skatefresh with fewer lessons than ever before being postponed due to rain (a sure sign that global climate change is a reality, even if the experts are still arguing about it). Skatefresh was very active both in London and Brighton with adult and childrens groups, schools, youth clubs and Hen parties. Skatefresh also gets around internationally with Asha and Maya taking a group to Amsterdam in April 2010, Asha skating in Berlin with Spanish skate school MadridPatina and an international ICP (Instructor Certification Programme) meeting in Munich in August, where Asha’s position as UK National Director continues to drive ICP’s expansion in Europe and beyond, including her certifying an instructor in Brazil in early 2010. 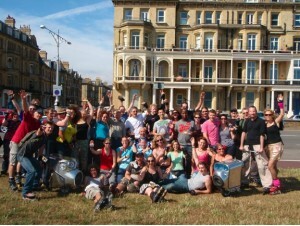 Skatefresh celebrated its 11th Birthday in Brighton in July 2010, another proud moment for Asha and the team. Skatefresh are constantly improving their skate skills and teaching techniques with their special in-house training programme 6+ times a year. No other group of instructors is more active in developing themselves for the sake of their customers. We are attracting more and more students who are experiencing greater rewards than they imagined from simple ‘improving their skating’. We are happily observing that when a sense of ease arrives in a skater at whatever ability level, that ease translates as ‘flow’ and grace and being in ‘the zone’. This blissful place is unique for us all but a deep sense of personal connection comes with it and from there, life flows gracefully. Skatefresh welcomed Alex Sinnott and Jo Marshall onto the team this year and together they are teaching hundreds of children and young people how to skate in London. Skatefresh has been contracted by Tower Hamlets Schools Partnership to deliver inline skating in 30 primary schools over an academic year. This ambitious project is up and running and going well. Jo continues Skatefresh’s connection with Phoenix Special School for autistic children and those with learning and behavioural difficulties. http://www.phoenix.towerhamlets.sch.uk/. We sadly said goodbye to Maya who left the UK in September to live in Austria. We are hoping she will return for isolated projects in the coming year. We miss you Maya. 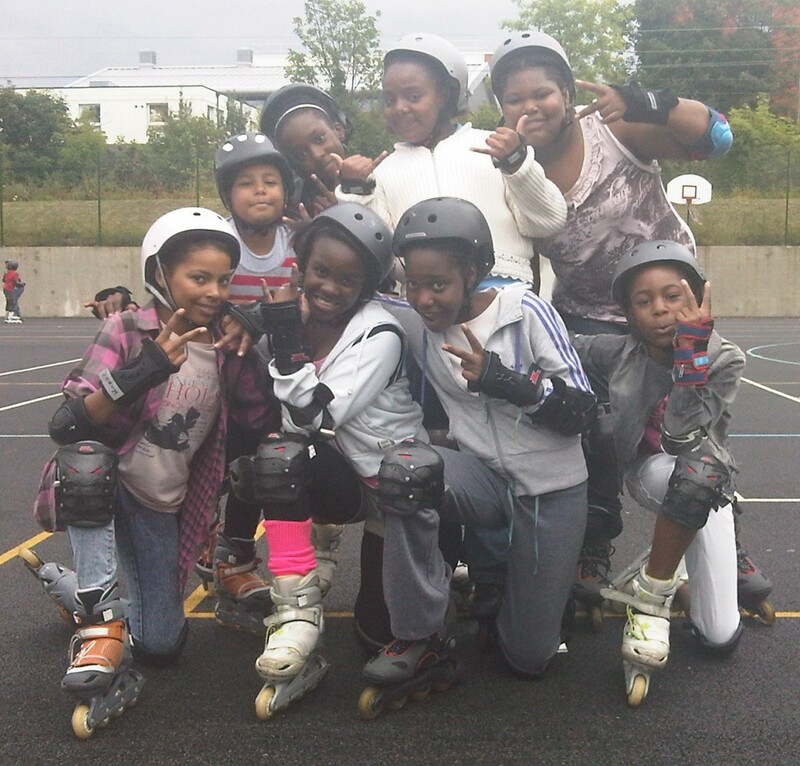 The summer of 2010 saw Skatefresh working within Sound Currents; a community project providing creative opportunities for children in Walthamstow. Skatefresh has also been working with local councils and their Young Carers divisions and young people considered ‘at risk’. Alex and Jo have recently also started teaching in several Youth Clubs in London to teenagers aged 13-19yrs. Skatefresh continues to provide instructors for Rolladome; a community charity providing excellent skating services in Acton and all over London. Phil from Skatefresh launched his own skate accessories business (specialising in skate wheels and bearings). We particularly recommend his non-branded wheels which cost £10 for 4 (average price of branded wheels in the shops £25-£30). Asha has been using Phil’s wheels and finds them hard wearing, good for street skating and suitable for slides. The perfect all-round wheel (forgive the pun). Phil buys all his wheels direct, so you know you will be getting the best deal on the most popular products. 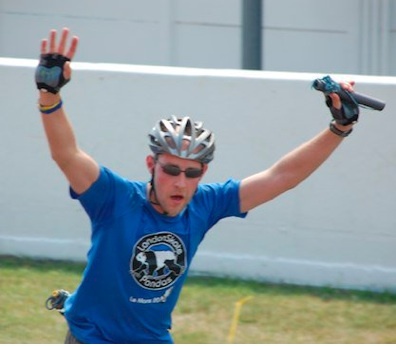 Have you thought of becoming an inline skating instructor and maybe joining the Sktefresh team? Many Skatefresh instructors (past and present) began their skating lives in a Skatefresh beginner class, and the rest, as they say is history. Asha is currently the longest serving ICP Examiner in the UK and one of ICP’s most active worldwide examiners (qualifying skaters to become instructors in the UK, Spain, Portugal, Brazil and Slovenia). This year certification courses for Level 1 (entry level instructors) will take place on 8th-10th April and 16th-18th September and Level 2 (experienced instructors) on 12th-14th August. Have you long ago given up your skating dreams and need the space in your wardrobe that your old skates currently take up? Or have you upgraded to super doper new skates and still have the old ones lying about? If so, Skatefresh would like to ask you to ‘semi-donate’ your old skates to us so we can use them to help encourage more schools, youth and community groups and charities, who often struggle with lack of funds and the costs associated with skate hire and tuition. Skatefresh will pay you something for your skates (depending on their age, model and brand). Please send a photo of your old skates to Asha@skatefresh.com and we will let you know what we can pay. This also applies for any protective gear that is still in good working order. We are very much looking forward to 2011 and all that it brings in skating with you and enjoying and improving our teaching of skating. We hope to welcome you back onto your skates filled with enthusiasm and a quest for fun, the opportunity of meeting new people and of course, getting into your ‘zone’. See you soon! Matt, Nic, Nick, Phil, Jo, Alex and Fab. June every year sees the world famous French Motor racing circuit go quiet and allow thousands of Inline skaters to race for 24Hrs in the roller event of the summer. This year Skatefresh is proud and excited to be entering a team of clients and instructors. The huge relay event has hundreds of teams of skaters from all over the world battling it out in exactly 24 hours of non-stop baton swapping fun. There are four different categories for entry: Solo skaters, Duo’s, Endurance five man teams and ten man relay crews. All individuals completing individual laps of the 3mile Les Mans motor racing circuit to get their baton to complete the most laps within 24Hrs. Because of the relay format of the Les Mans Roller it’s a very accessible and international event that suits a range of ability levels and styles of skating. It’s far more relaxed than you might assume and offers a great introduction to skate competition. Frankly, British skaters ROCK!!! and this is the place to see it up close. Our aim is to have FUN, there are always plenty of teams entered from London that are about lap times or endurance and that’s great, but to be in Pink at Les Mans this year is about smiling and lapping the track knowing you’re supported in your event by us. To this end we will be using the June event to focus our training on skating faster with more ease and grace and keeping it real for your personal skating. Matt is managing the team and is teaching some of the training orientated lessons this winter, spring and early summer to pull together a happy and varied group of skaters looking forward to a fun weekend in France at the end of June. There are competition rules and regulations and certain ideas that will need to be discussed, that’s all exciting stuff and all in good time. All you might want to know now is that we travel normally by Eurostar/TGV to Les Mans on Friday, compete Saturday overnight into Sunday and rest/travel on Monday. These time-scales are far from set in stone and the trip can be scaled to accommodate most people assuming a little independence from individuals who want to do it their way–with us. There is always some camping involved, generally some socialising and staying up very late/early and then sleeping very well on the last night. The idea of the trip is to a certain extent “muck in” with your fellow skaters and above to have fun. All of us at Skatefresh are looking forward to it and hope you might enjoy it too. Speed/fitness sessions with Les Mans in mind will begin in January. These will be suitable for budding Le Mans crew as well as those who simply want to skate better, faster and easier. If you want more info on coming along to Les Mans, (24th -27th June) or you feel you’d like to get faster on your skates contact us and we’ll let you know more.